“He marched to the beat of a different drummer” is a derogatory description of the non-conformist. We are all supposed to goose-step to the same drummer, and anyone who heeds a different beat will not be the kind of majorette we want in our parade. Those who march to the beat of a different drummer end up who knows where. Do they become toy soldiers? Do they end up encased in those novelty crystal balls with the fake snow? Do they wind up as prostitutes or worse? Do they get syphilis and go mad like Oswald in Ibsen’s Ghosts (a play whose greatness may not be sufficiently credited by contemporary critics)? The Unabomber Ted Kaczynski marched to the beat of a different drummer. He had brains and talents that could have made him rich, but he chose to live like a hermit and hurt people. The average member of our band of weary travelers who marches to the beat of a different drummer isn’t so extreme. You can usually identify someone who is going to be out of step even before they set foot on the pavement. Firstly, those who march to the beat of a different drummer are usually the ones who don’t realize they have a big glob of green snot hanging from their nose. Then there are the ones who locate the snot and see nothing wrong with eating it. If you have ever gone to the St. Patrick’s Day parade and seen a majorette out of step because they are trying to eat their own snot at the same time as they’re marching, you will know exactly what we mean. 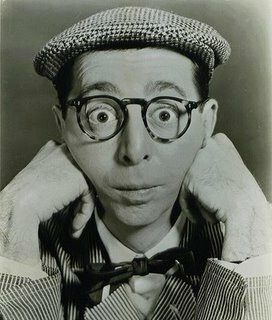 Does anyone remember Tiny Tim or Arnold Stang, who did the Chunky commercials? They both marched to the beat of different drummers, but neither ate their own snot or sent lethal packages to computer scientists in the mail.